Wanda Collins joined Housing Action Illinois as Program Associate in October 2017. She has over 15 years’ experience in the mortgage and housing industry, having started her career in loan origination and mortgage underwriting. While at Housing Action, Wanda has created and facilitated a study group training for housing counselors preparing to take the HUD Housing Counseling Certification exam, as well as an on-boarding process for agencies joining our Intermediary network. 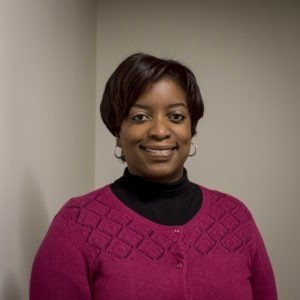 Prior to joining Housing Action, she most recently served as the Manager of Homeownership Services at NHS of Chicago, where her team provided pre-purchase, foreclosure prevention, financial capability and reverse mortgage counseling services. She also served as a foreclosure prevention counselor under the Fannie Mae Mortgage Help Center and NHS neighborhood offices. Wanda earned her B.A. from Illinois State University in Normal, IL.